The Ostrum House is located on the historical Salisbury Turnpike. 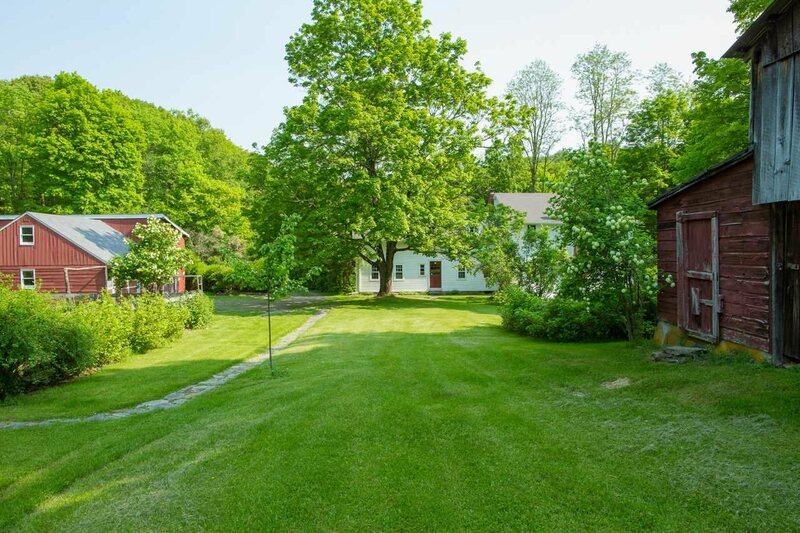 This small winding country road with a big name was established around the end of the 18th century to connect the Hudson River ports at Kingston/Rhinecliff with Salisbury, CT. 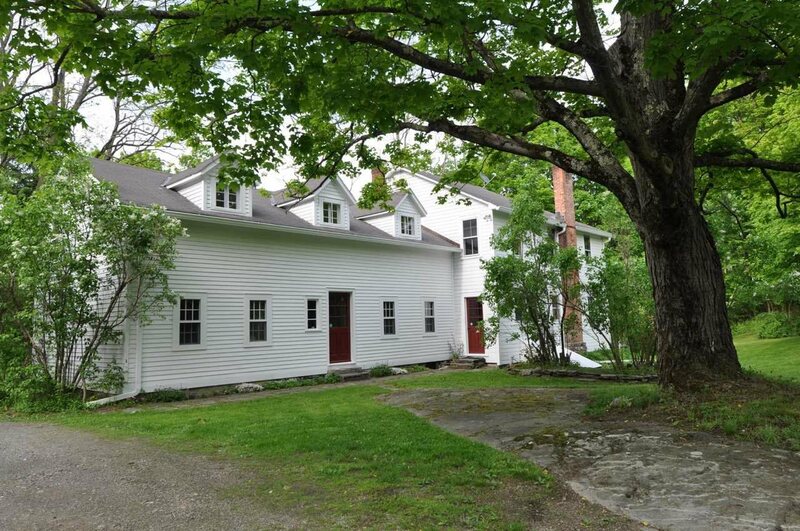 The Ostrum house can be seen on a 18-foot hand drawn 1802 map of this picturesque road. 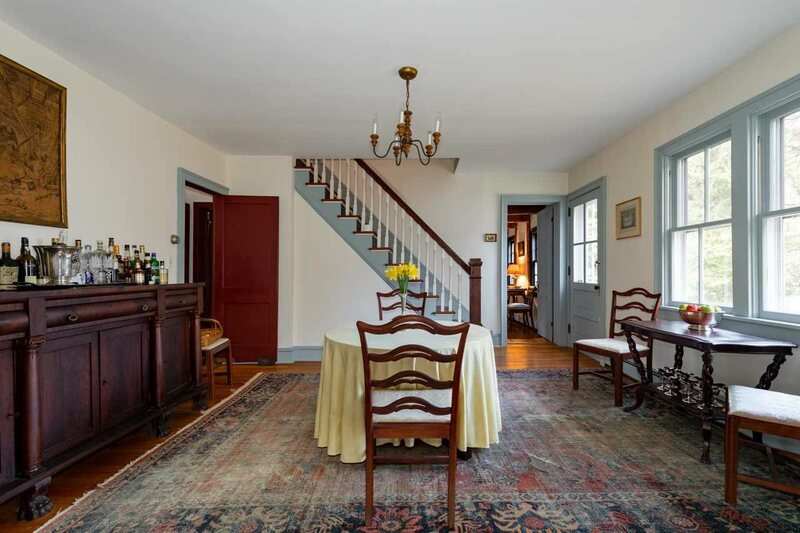 The west part of the house was built cca 1780 by a Dutch family that retained possession until 1900. 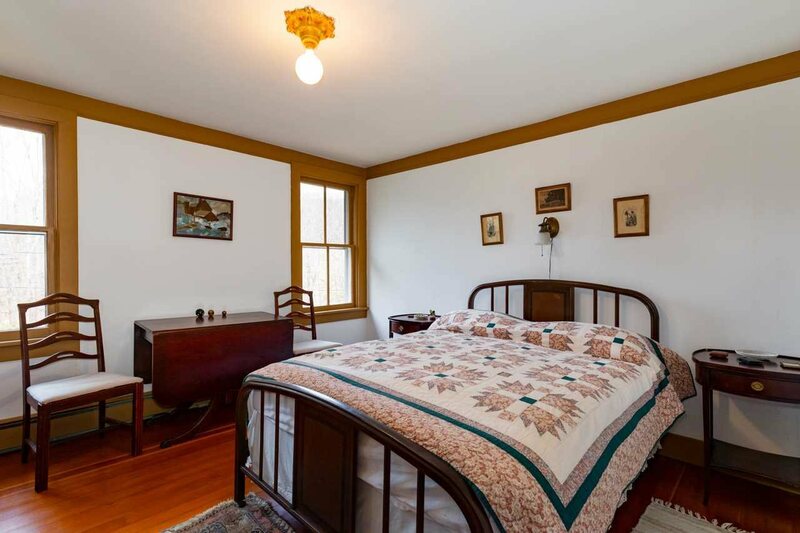 The east part of the house was added cca 1900 by Italian craftsmen. 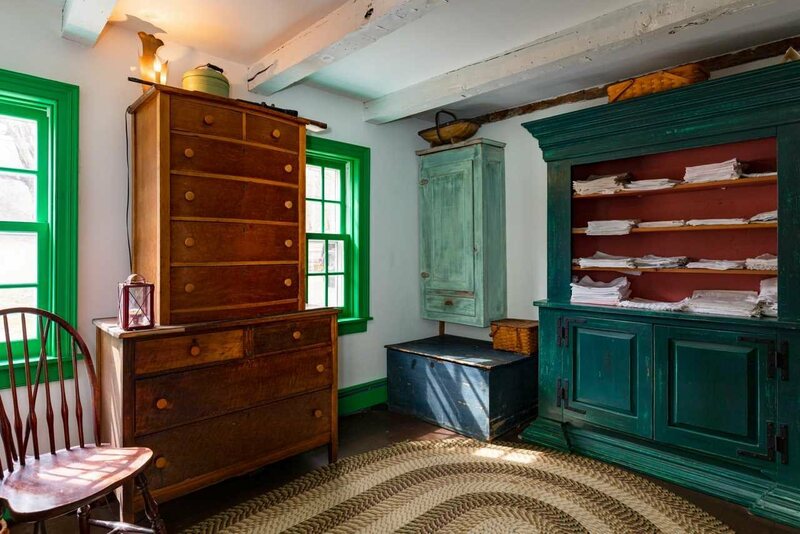 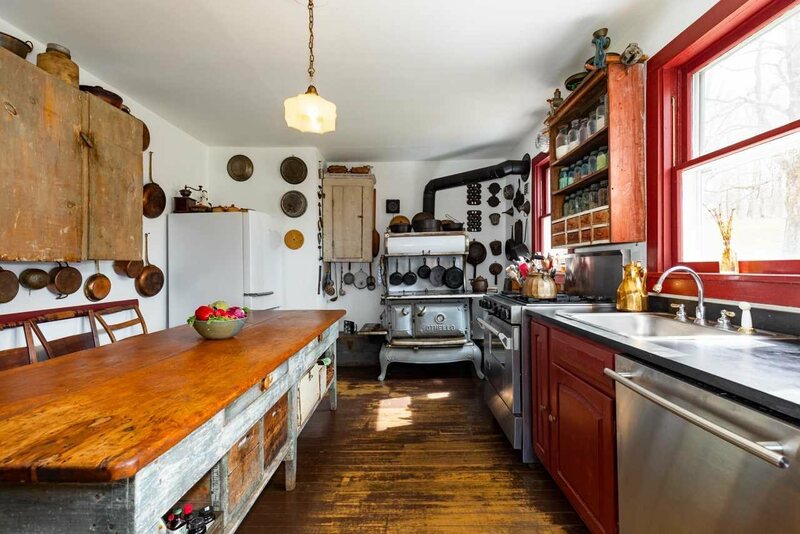 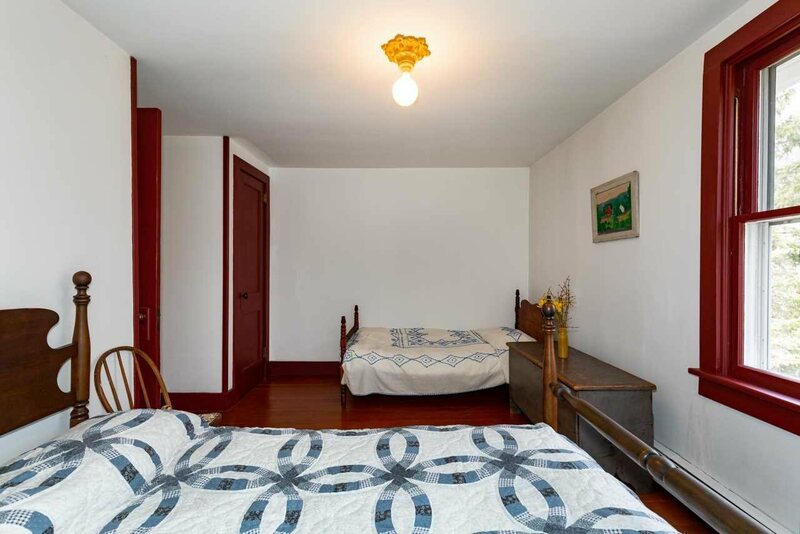 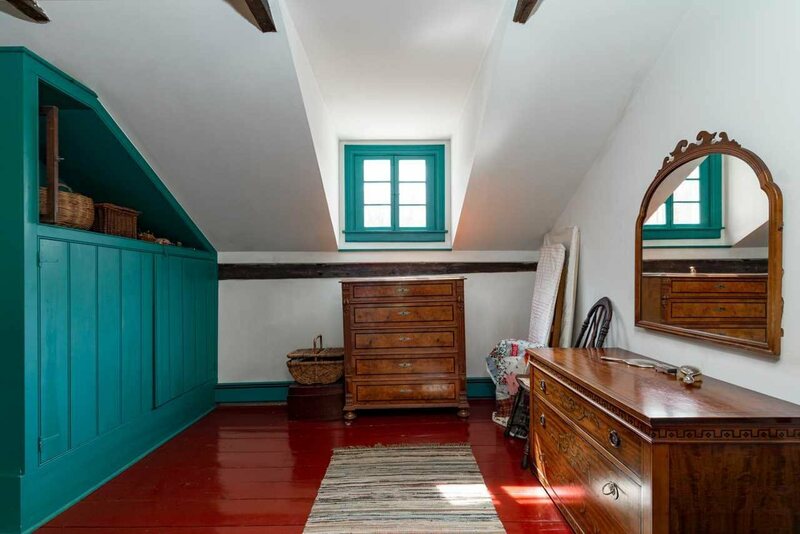 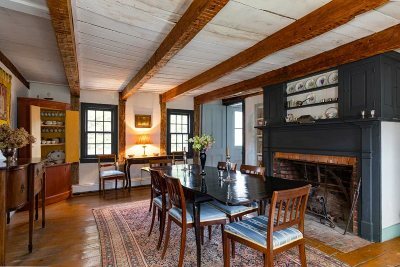 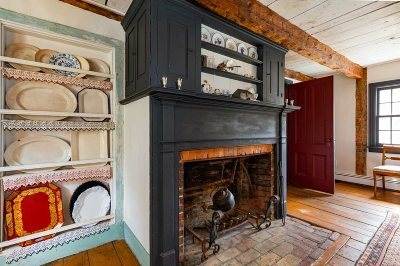 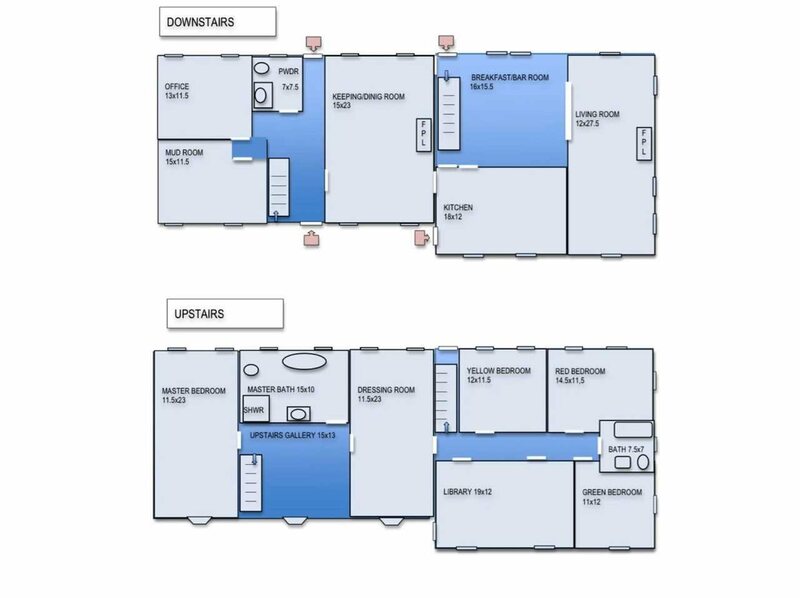 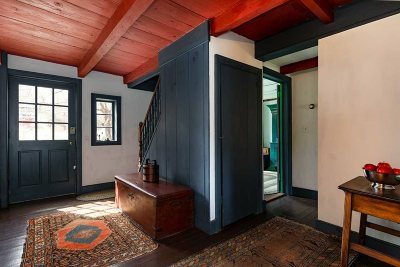 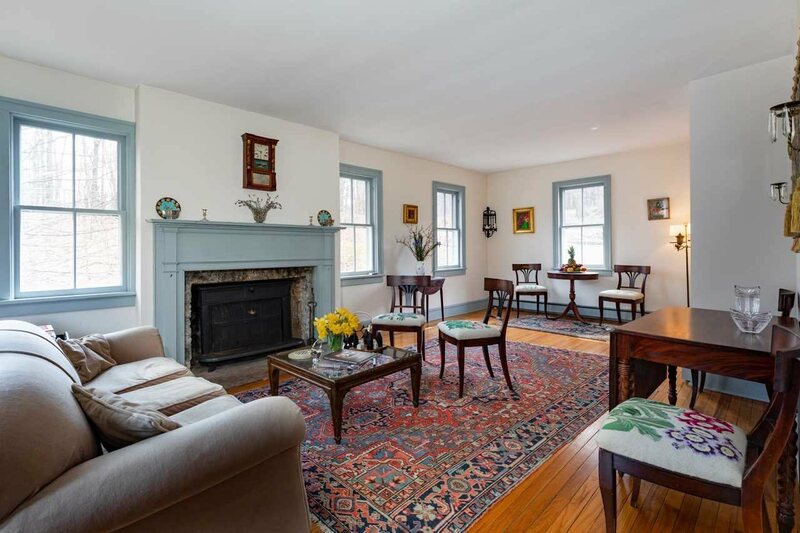 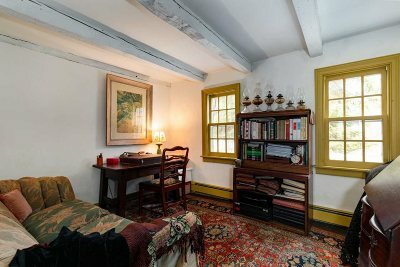 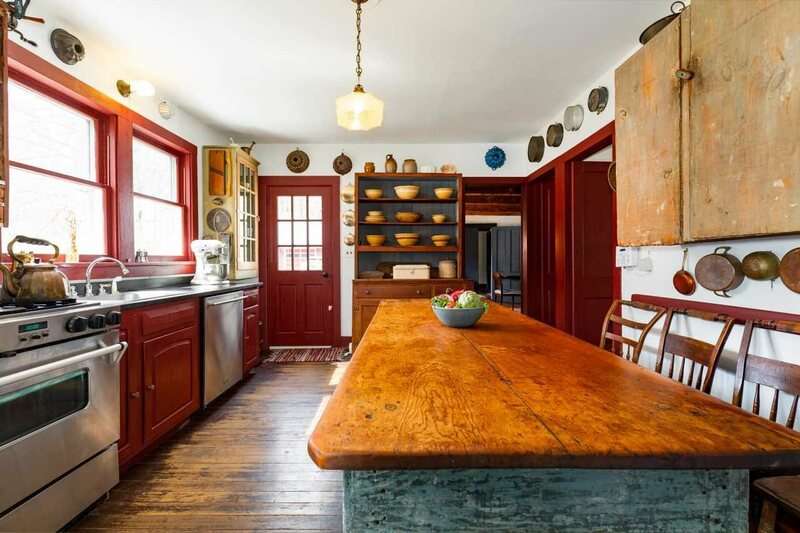 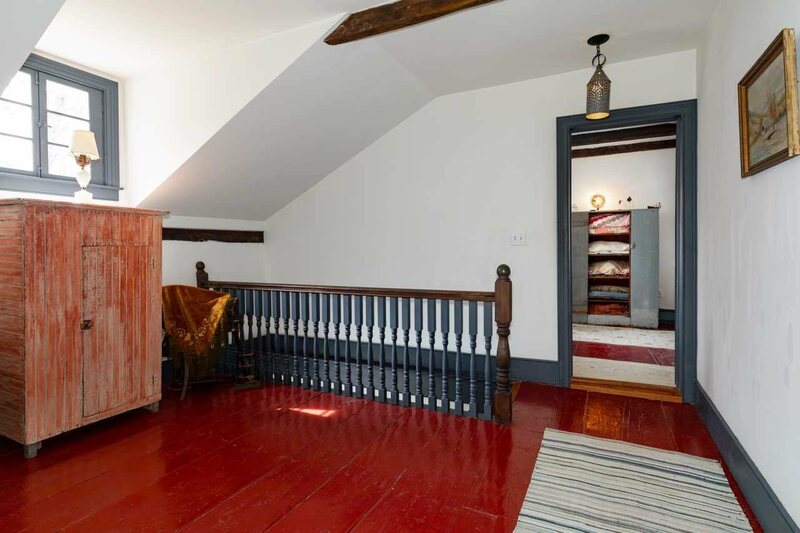 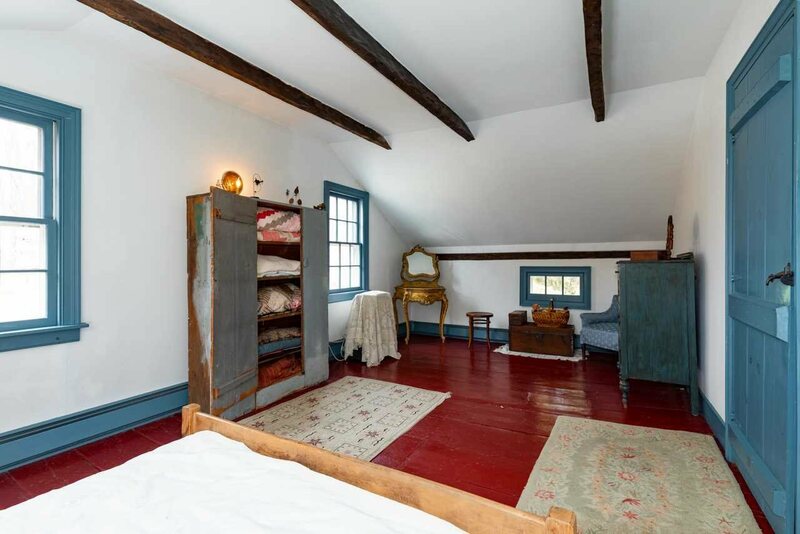 The Dutch part has wide board floors, beamed ceilings (no low ceilings) and a Rumford fireplace; the Italian part has parquet floors, a fireplace with an original cast iron insert, and an Othello kitchen wood stove. 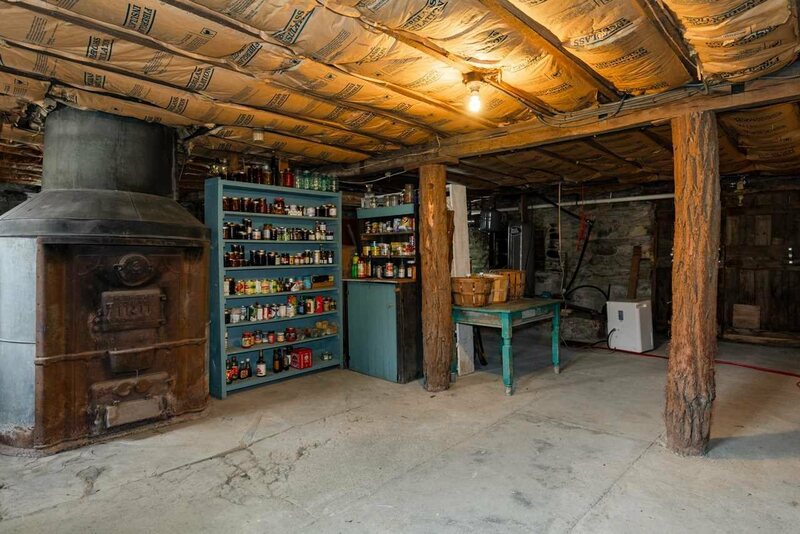 The old root cellar is now a wine cellar. 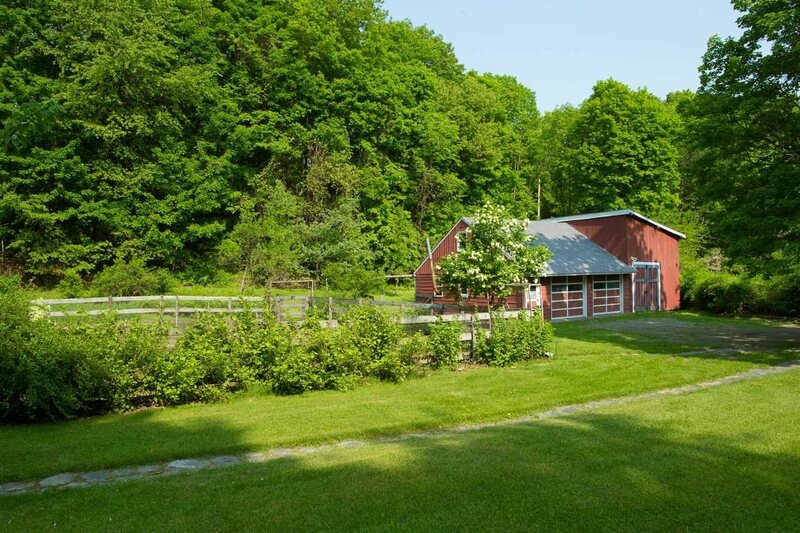 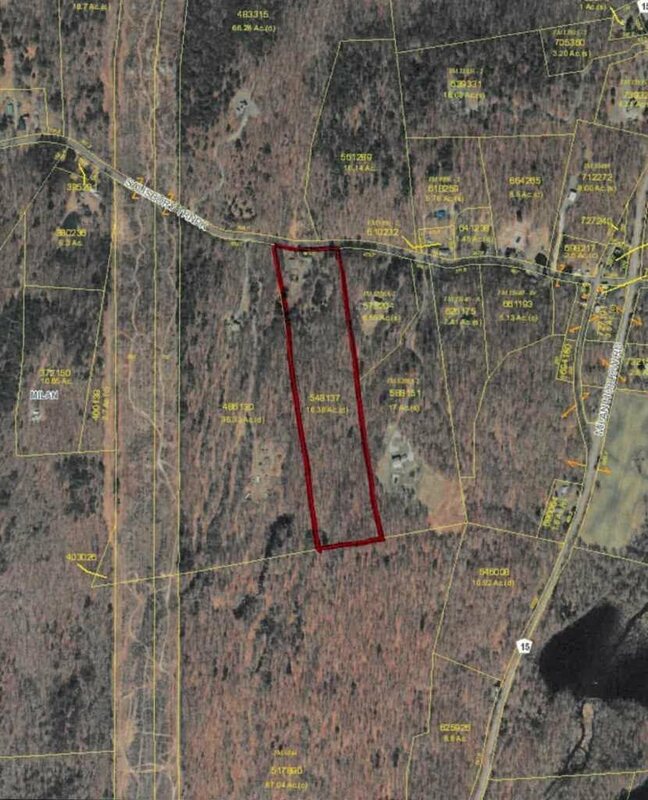 The Ostrum House is across from 65 acres of protected land. 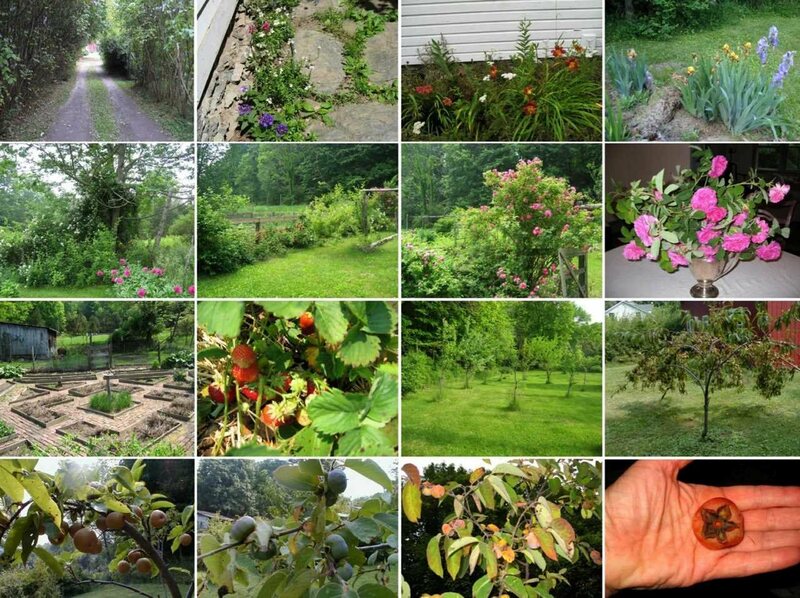 The Ostrum land is gently rolling with stone outcroppings. 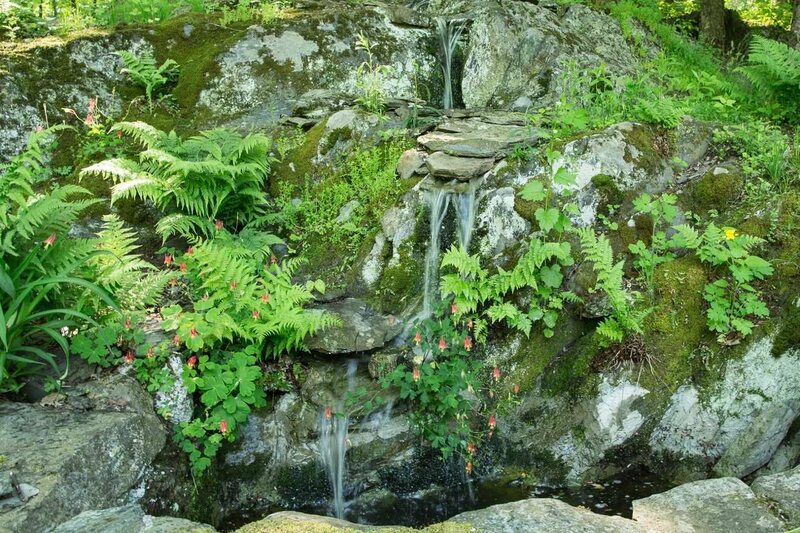 There is a small waterfall, a vernal pond, an herb & vegetable garden with brick paths, a young orchard with old favorites such as paw paw (favorite dessert of George Washington), medlar, quince or mulberry trees. 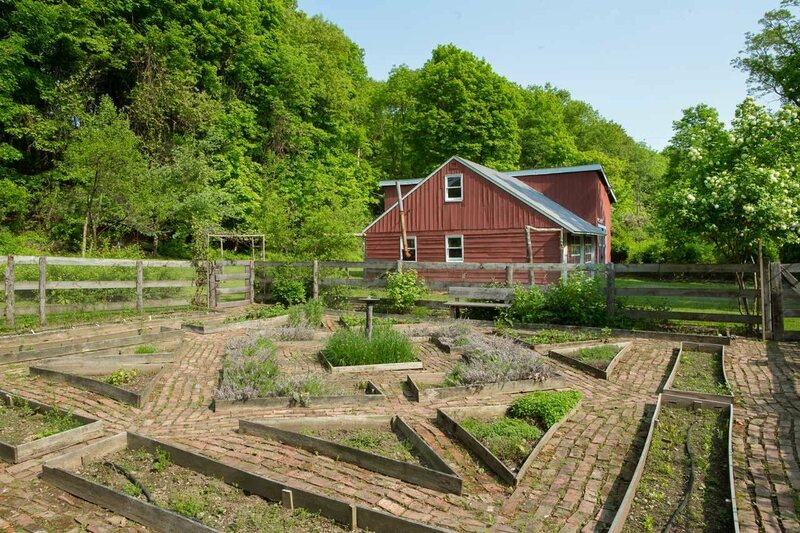 At one time, it was a violet farm. 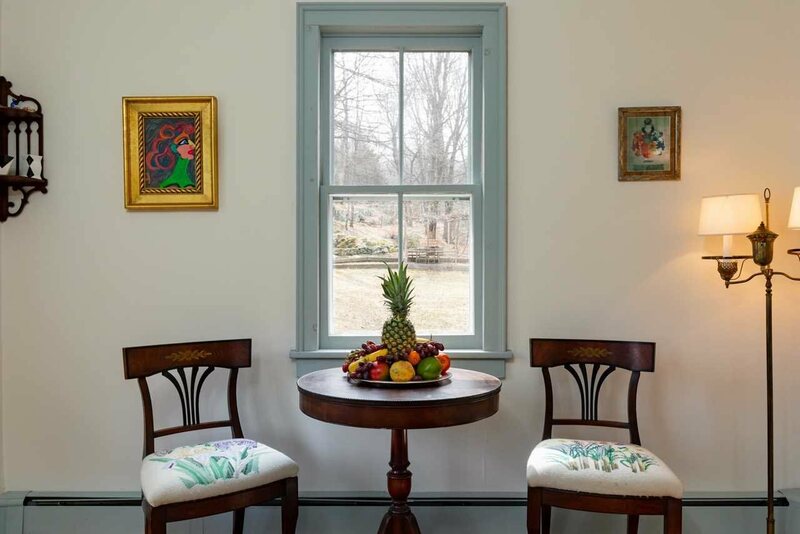 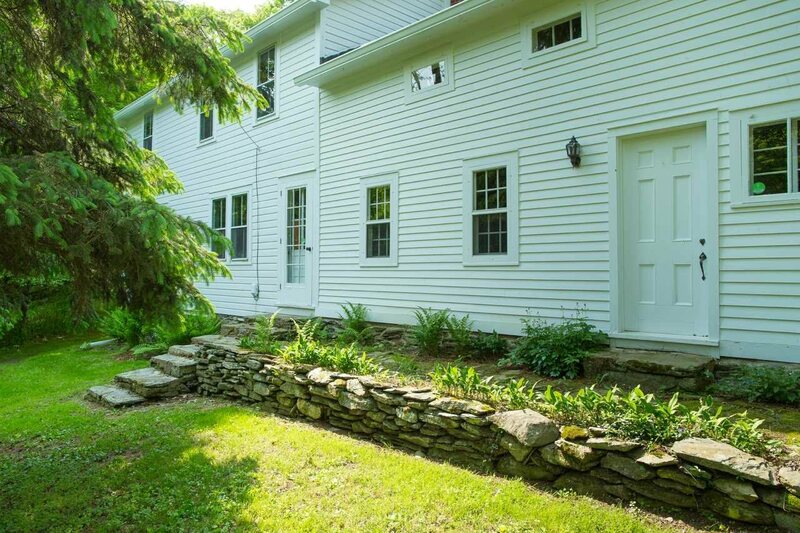 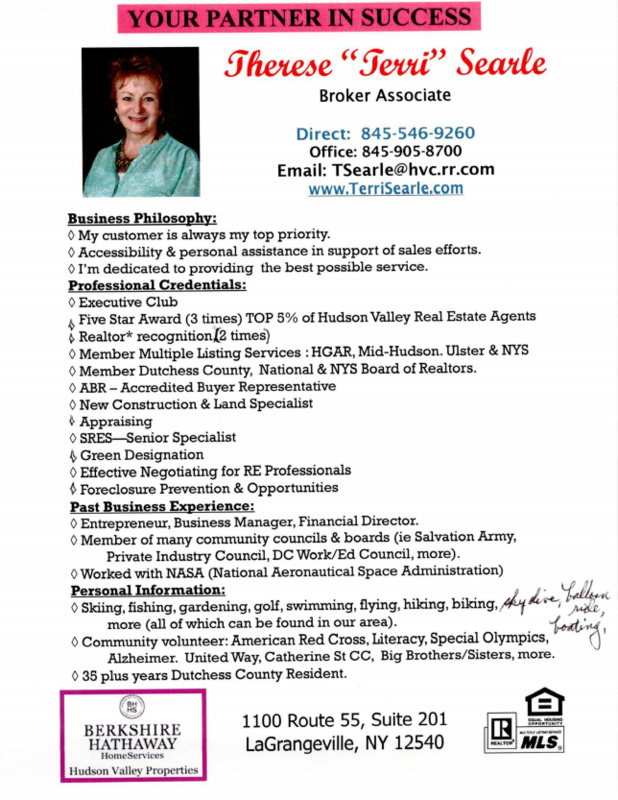 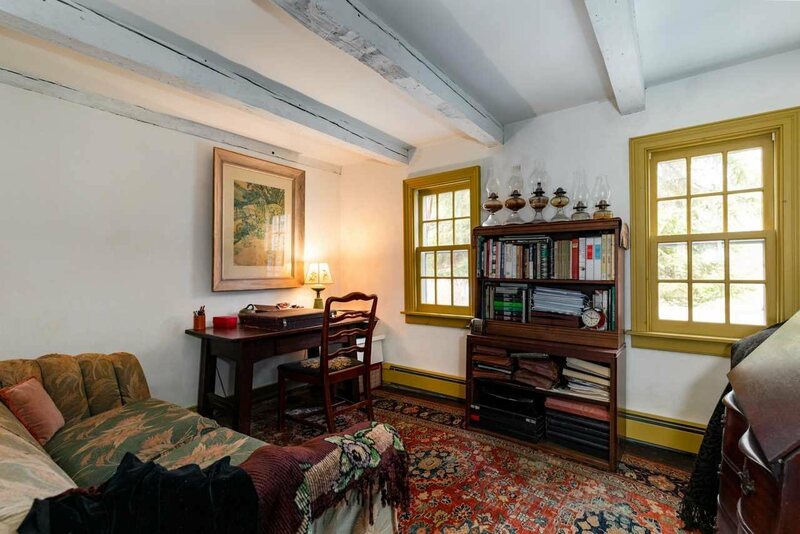 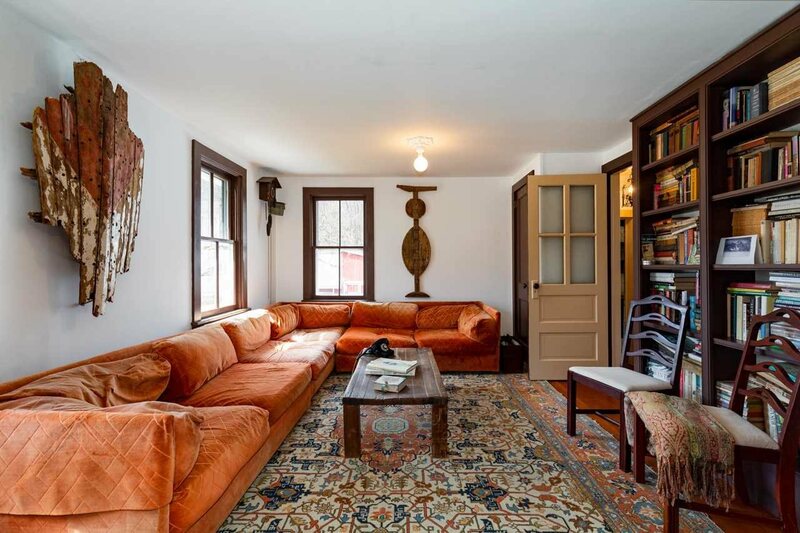 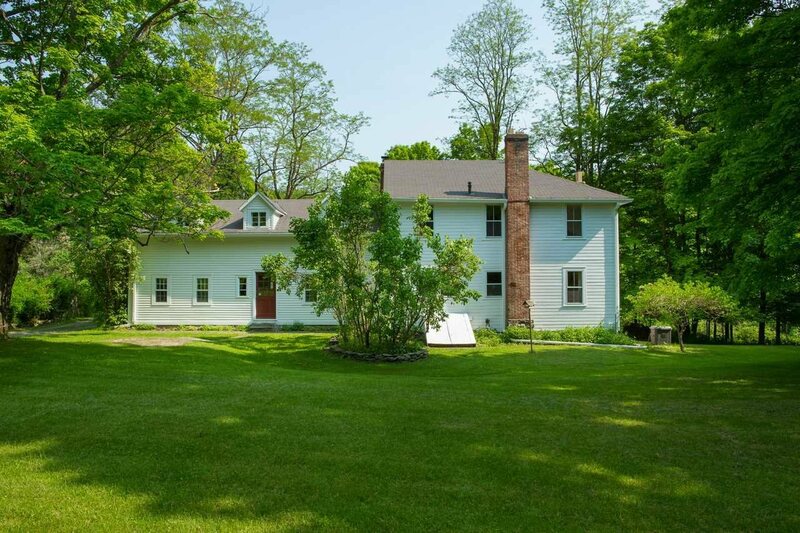 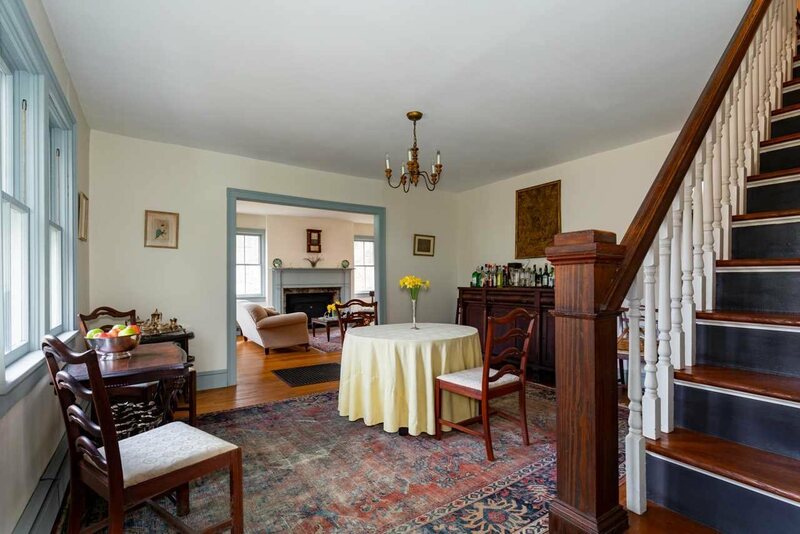 The Ostrum House is 6.5 miles from the town of Rhinebeck with its historical architecture, attractive shops and Zagat rated restaurants, 2.6 miles from the Taconic Parkway and 7.3 miles from Bard College with its Frank Gerry concert hall and many summer programs.